June is a big month for my husband. This month there is Father's Day, his birthday, and our anniversary. You would be correct in assuming that he loves this month because of all the presents and attention. 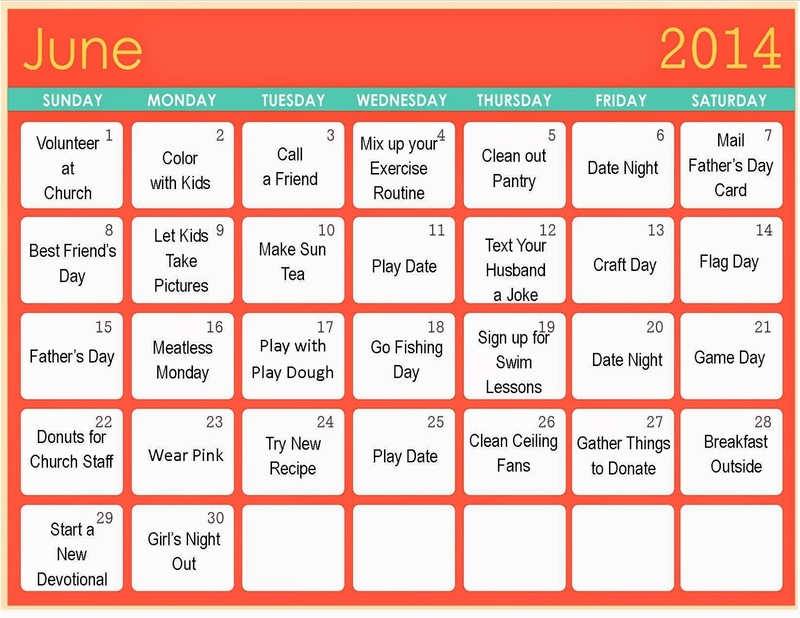 While I set reminders, check out this month's activities calendar. What fun summer plans do you have this month?